This ad was found in Fair Radio Sales Co. catalogue No. 71 (their 24th year) from the 1970's. 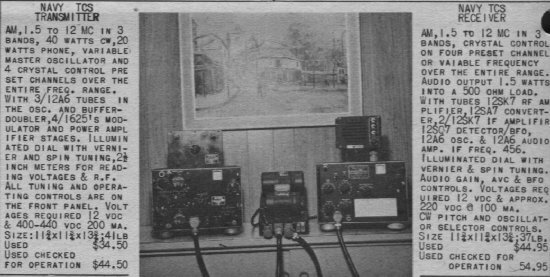 Here the Radio is shown with the dynamotor power supply. The set that I owned used a power supply that I built for it. 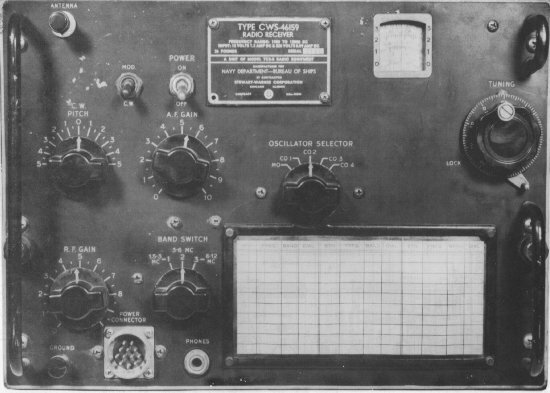 A closer view of the receiver. A schematic diagram of this receiver can be found in "The Surplus Handbook: Receivers and Transmitters" by Charles Caringella, W6NJV and Richard Clark, W6NJE - Page 88. Published by Editors and Engineers, Ltd. - 1959. An article on TCS Conversion was published in CQ Magazine, September 1959, Page 30. Copyright ©2002 Bob Burley, all rights reserved.